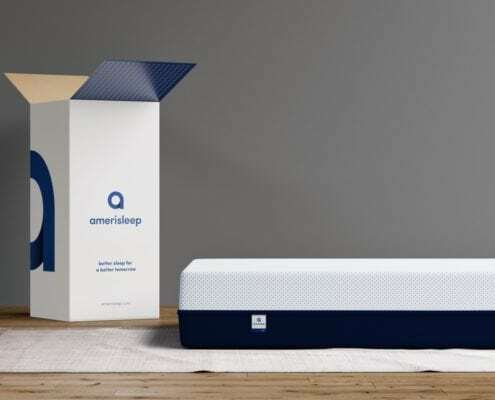 Amerisleep AS3 Mattress Review - Is it Right for You? 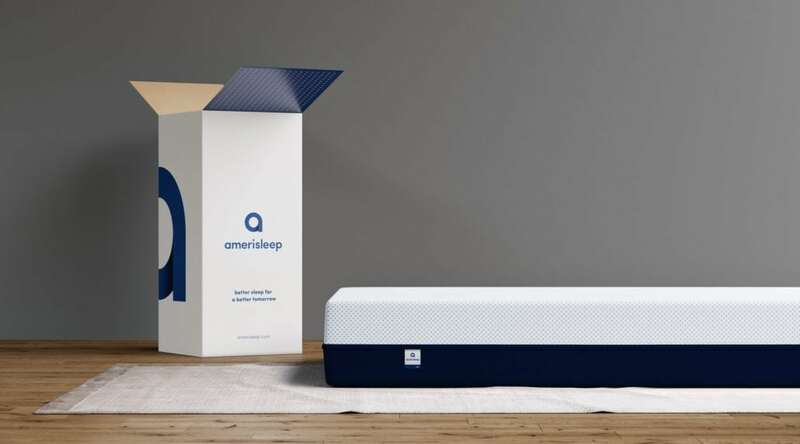 Formerly known as the AmeriSleep Liberty mattress, the AS3 mattress is one of the most popular products sold by the AmeriSleep company, which specializes in the sale of online mattresses that are shipped directly to the customer from the company. In this article, we are going to go over some of the key features of the mattress (such as firmness level, temperature regulation, how it is constructed, and so on) in order to help you understand whether or not this mattress is a good choice for your sleep needs. The AS3 is their most versatile mattress. It evenly blends support and softness, so it’s great for people who change positions as they sleep and couples with different sleep styles. It’s also our most popular mattress overall. We combine our proprietary Bio-Pur™ and Affinity with SMT comfort layers to create a soft but responsive feel that relieves pressure points and makes you feel like you’re floating. Plus the high-performance Celliant® cover contains thermoreactive yarn to safely turn body heat into infrared. This mattress ships free to any locations within the contiguous United States; an additional shipping fee may be required for anyone who needs the mattress shipped to Alaska or Hawaii. It will be shipped in a cardboard box, and the mattress itself will arrive compressed and vacuum-sealed in plastic. Want great pressure relief. 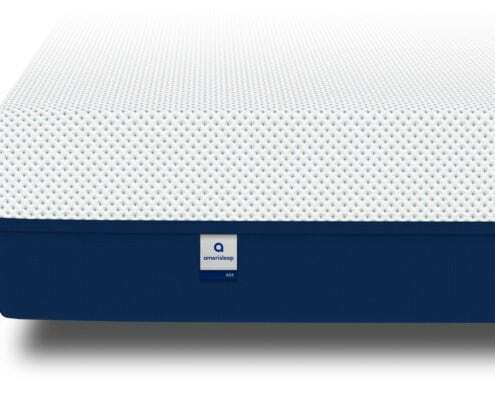 If you’re looking for a mattress that can provide great pressure relief while you rest, then the AmeriSleep AS3 is a great choice for you. The special design of this mattress allows it to contour to the curves of your body, which can help to relieve the tension in your muscles and joints. Want a mattress that sleeps cool. Unlike the majority of foam mattresses, which are notorious for retaining heat, the AmeriSleep AS3 is actually a good choice if you want something that can offer both comfort and pressure relief while also remaining cool as you sleep. This is thanks to the open-cell structure of the mattress which promotes greater breathability. Good for any sleep position. Whether you sleep on your back, on your side, or on your stomach, this mattress is a good choice for the way it offers a great combination of body-contouring comfort and pressure relief as well as support. Good for motion isolation. Because this mattress is made entirely out of different types of foam, it is a great choice when it comes to reducing motion transference. This makes it a good choice for anyone who sleeps with a partner or a pet who changes position often or gets into or out of bed in the middle of the night while you’re resting. Want good edge support. Most memory foam mattresses by design offer little in the way of adequate edge support. The AmeriSleep AS3 mattress, however, provides very good edge support for an all-foam mattress. This means that you will never need to worry about falling off the edge of your bed. Want a high quality mattress that is reasonably priced. Unlike similar mattresses from competing brands, the AS3 mattress from AmeriSleep is affordably priced. This means that you don’t need to break your bank account to get a mattress that offers you body-contouring comfort, pressure relief, temperature regulation, and motion isolation. Generally speaking, the AS3 mattress is (in most cases) about half the price of other brand name memory foam mattresses. Want a great trial period and long-term warranty. Not only does this mattress comes with a trial period of one hundred nights, the warranty lasts for twenty years (which is twice as long as the warranties offered by many other mattress companies). Want an eco-friendly memory foam mattress. Not only are all the foams used in the construction of this mattress CertiPUR-US certified, but they are also plant-based and contain no harmful chemicals or additives. Don’t like memory foam. If you are someone who typically does not like the feel and texture of memory foam, then the AmeriSleep AS3 mattress is probably not eh right choice for you. 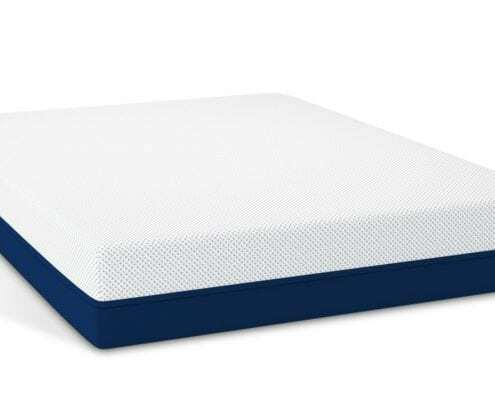 Not only is the top layer made entirely out of a specially designed memory foam, but the middle transition layer and the bottom foundation layer are both made out of foams as well. Want a very soft mattress. While this mattress is made out of plush body-contouring memory foam, it has an overall feel of medium-firm. This means that if you wan a truly soft mattress that you can ink into, then this might not be the right choice for you. Want a very firm mattress. Again, this mattress is medium-firm with a plush top layer made out of body-contouring memory foam, so if you want a mattress that is incredibly firm and solid throughout its entirety then you might be better off with an innerspring mattress or a hybrid mattress (which combines innerspring coils with memory foam for a firmer mattress). The AS3 mattress from AmeriSleep is designed to be medium-firm. That being said, thanks to the top layer of specially designed memory foam, this mattress does offer a fair amount of plush comfort as well as excellent pressure relief. 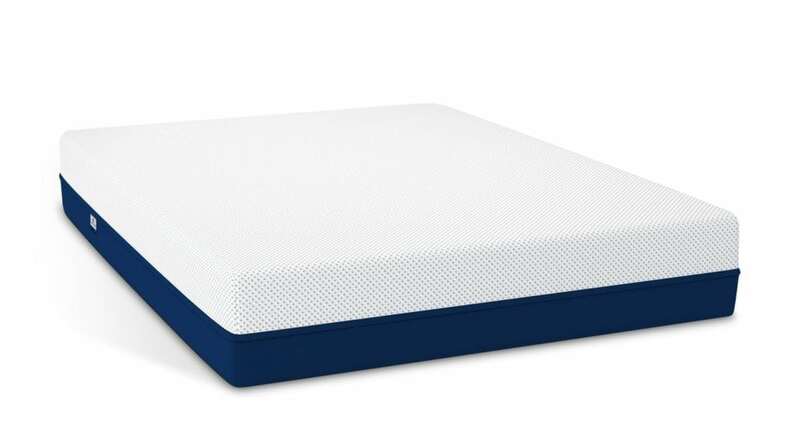 Additionally, the specially designed transition layer in the middle of the mattress makes it more responsive than other types of foam mattresses; this extra bit of bounce makes ti a good choice if you want the body-contouring comfort of memory foam but don’t want the feeling of sinking into the mattress and getting stuck. Generally speaking, this mattress rates as about a6.5 or a 7 on a firmness scale of 1 to 10 (with one being the most plush and ten being the most firm). This medium level of firmness means that this mattress is a good choice for just about anyone, regardless of sleep position. 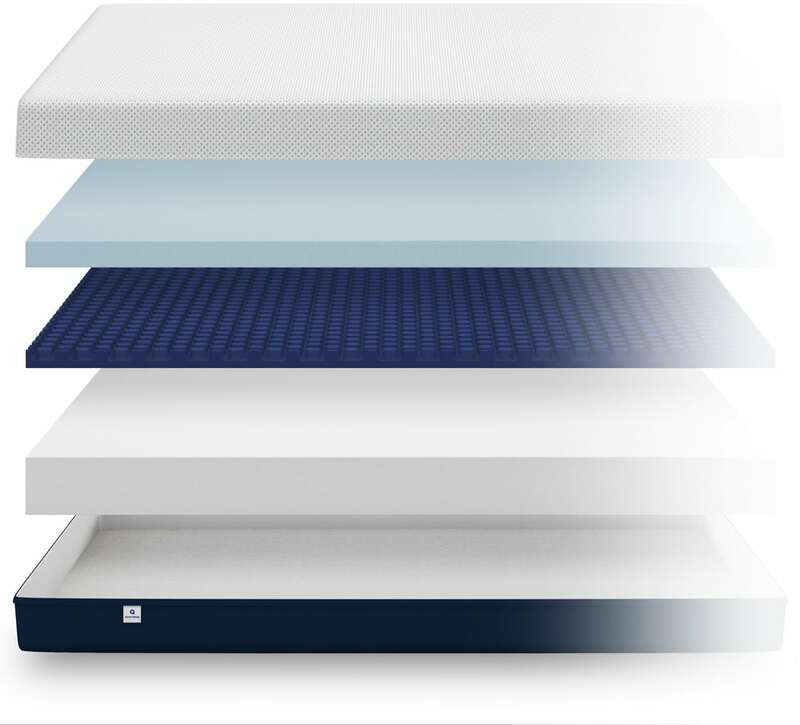 The AmeriSleep AS3 is also a great choice if you want something that is good for reducing motion transference (the phenomena that occurs when movement in one portion of the mattress, caused by someone getting into or out of bed or changing position, transfer throughout the rest of the mattress). 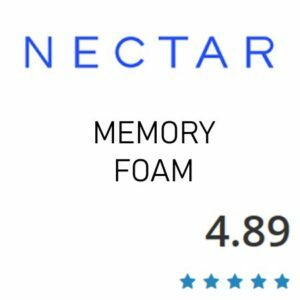 The good motion reduction seen with the AS3 mattress comes from the fact that the proprietary memory foam that is used in its construction is, like most types of memory foam, great for absorbing movement. That being said, because this mattress is also designed to be more responsive, it does not completely absorb all movement; it does absorb the majority of it, however, making this mattress a good choice if you want a mattress that can offer good motion reduction along with comfort, pressure relief, and support. 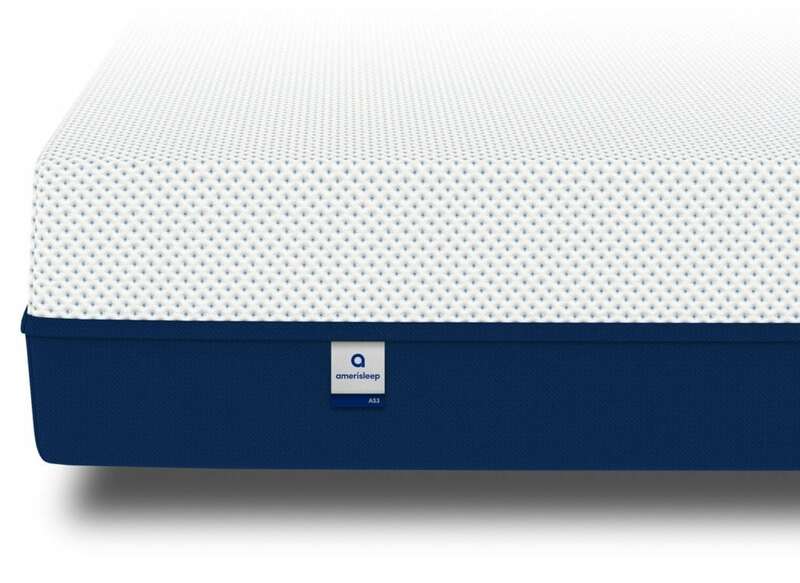 Unlike many other brands of foam mattresses, the AS3 mattress from AmeriSleep features virtually no off gassing odors whatsoever. This is because the mattress is constructed with eco-friendly foams that are free from harsh and potentially harmful chemicals. And while this mattress is vacuum-sealed and compressed for the shipping process, there should be no strange odors or smells when you unpack it and set it up. Ultimately, these factors make it a great choice if you want a foam mattress that you can use almost immediately, without needing to wait for any off gassing odors to dissipate. Mattresses that incorporate memory foam into their design are often not ideal when it comes to edge support, but the AmeriSleep AS3 actually displays surprisingly good edge support for a mattress that has a comfort layer made entirely out of memory foam. While the edge of the mattress will compress down if bearing large amounts of weight, you will never feel insecure (as if you are about to fall off) even if you are right on the edge of the mattress. The AmeriSleep AS3 mattress is twelve inches thick and features three main layers as well as a soft cover that is made out of a unique fabric blend that contains polyester, spandex, and Celliant. This special fabric makes an excellent cover thanks to the way it stretches out easily while also staying smooth and cool to help promote comfort. The top layer of the mattress (also known as the comfort layer) is constructed out of memory foam. This foam layer is three inches thick and the foam itself has 4 lb density, making it ideal for pressure relief and contouring to the curves of your body. Furthermore, this top layer is designed to have a special open cell structure, which promotes breathability and heat dissipation. These factors mean that, unlike other foam mattresses that typically retain large amounts of heat, the AS3 mattress will actually dissipate the heat from your body rather than absorb it. Additionally, this foam is also made entirely out of plant-based materials, making the mattress as a whole more eco-friendly. The middle layer of this mattress is the transition layer. This layer is constructed out of a special poly foam that has a density of 1.65 lb and is two inches thick. This layer serves two purposes: first, it functions as a transition layer between the soft and plush top layer and the firmer base layer; second, this layer adds a bit of bounce to the mattress, helping to make it more responsive so that you don’t feel stuck in place when you sleep. Additionally, this layer also features a unique design that promotes air flow and temperature regulation. Finally, the third layer of the AmeriSleep AS3 mattress is the base layer. This layer is seven inches thick and constructed out of a high density poly foam that has a density of 1.8 lb. The main purpose of this last layer is to serve as a strong and firm foundation for the mattress as a whole; it also helps to provide deep compression support to you while you sleep and helps increase the overall durability of the mattress. The Amerisleep AS3 will work great on any solid surface. The floor, platform slats, boxspring/foundation and they now offer an adjustable base as well. Most memory foam mattresses are notorious for the way they retain heat, which can often lead to restless nights and overheating while your sleep. This specially designed mattress from AmeriSleep, however, is different. The AS3 is designed to provide not just comfort, pressure relief, and support, but also a cool sleeping experience. The first aspect of the mattress that contributes to good temperature regulation is actually the cover. The fabric of the cover is infused with Celliant, a material that is specially designed to absorb excess body heat and transform it into infrared energy instead. The cover is also designed to be more breathable as well, so heat is less likely to become trapped within the mattress. The various foams used in the construction of the AS3 mattress are also designed to have an open cell structure, which promotes increased air flow and better heat dissipation. We understand that reading customer reviews is an important part of deciding whether or not a particular product is the right choice for you or not. With that in mind, we’ve listed here for you some of the more informative reviews relating to the AmeriSleep AS3 mattress; we hope you find these pieces of feedback (all from real AmeriSleep customers) helpful. “We use this mattress as our primary bed. We were used to having a Tempur-pedic queen size mattress and wanted to upgrade to a king size mattress but Tempur-pedic was way too expensive. AmeriSleep feels like the same exact quality as my Tempur-pedic but was less than half the price.” – Fernando & Nina. “This product showed up before the delivery date and was a cinch to set up. We unrolled it and fell in love. It is easier to get to sleep at night and we wake up more refreshed. Thank you, AmeriSleep!” – Mark. “This is our primary bed. Upgraded from queen size and to a much needed new mattress. Debated for over a year on various mattresses. After visiting several stores, reading review after review and visiting online websites, always ended up at AmeriSleep. A little unsure about online beds, but return policy, customer service and warranty coverage gave me the confidence to order. Have had it for about 3-4 months. No issues or regrets. Wife loves it and is thankful of the purchase.” -Luke. 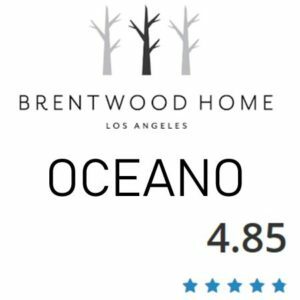 “We were a little apprehensive about purchasing a mattress we couldn’t actually try beforehand. Once we got the mattress, gave it time to expand, and finally laid down for the night we knew we made the right decision. 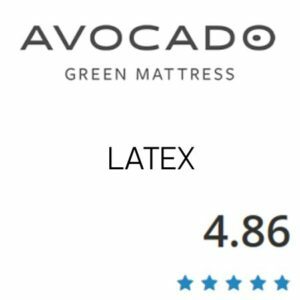 We’ve always just purchased mattresses at big warehouse stores and this one blows them out of the water. Hands down give it a try!” -Justin. “I sincerely didn’t think that a new mattress would ACTUALLY help improve my back pain. With my old mattress I would struggle when I was sick or overtired because all I wanted to do was sleep. But staying in bed too long and resting would mean severe back pain that would wake me up and interrupt that rest. Now I can sleep as long as I want and not wake up in pain. When I crawl into bed at night with my new mattress, I feel comforted and supported and I actually feel relief. I’m amazed at the quality of this bed and would have paid double for it. It was a massive life improvement for me—not only because of its extreme comfort but also because it has tangibly improved the health of my back.” -Acacia. “Perfect bed. We did a lot of research looking at many different beds. The AmeriSleep has exceeded all expectations. We have slept on other foam beds for years. This one blows them away for comfort and price.” -G. & J. The AmeriSleep AS3 mattress comes with a trial period of one hundred days. This trial period of over three months should be plenty f time for you to both adjust to using a new mattress and decide whether or not the AS3 is the right mattress to meet your individual sleep needs. Furthermore, AmeriSleep offers a twenty year warranty for this mattress. This ensures that should you encounter any design or construction defects in your mattress at any time during its natural lifespan, or if you experience any other issues that compromise your ability to use this mattress to your satisfaction, the company will do whatever they can to rectify the situation for you.